Jason Dryg News: Happy Easter! Bunnies, a photo by Jason Dryg on Flickr. Happy Easter! Not really my holiday, but a good excuse to eat some good food and candy. This is an original illustration I bought for $25. 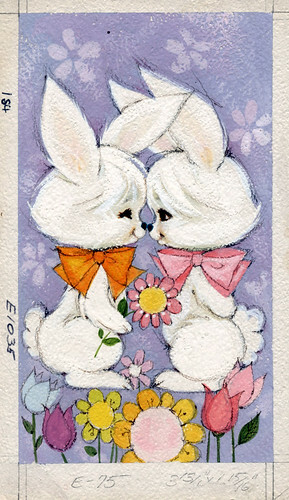 It's such a good example of classic illustration, though a tad on the cutesy side. Its just one of the many things I've collected over the years that I don't know what to do with. Me and my work at the D&D art show! The finished piece for the D&D show.